What a busy club year! If you take a look at http://vwt2oc.co/wp/events/ you will see that the club has had one of its busiest years in a long time. A lot of places and shows with the club stand, the club gazebo and most of them had club camping. As we move towards 2019, it would be great to meet more members and welcome back repeat visitors to club events. If you would like to join us, come along, we don’t bite. Our emphasis is on using the vans, having fun and sharing (knowledge, information and stories. Don’t ask to share sausages though). If a member would like to organise a club camp, please contact events@vwt2oc.co.uk and talk to the events manager. 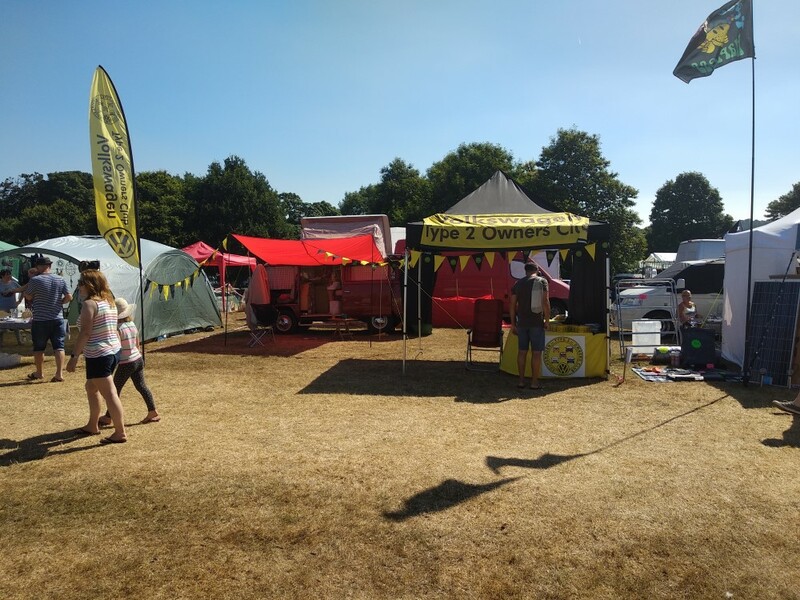 Please remember that a club event is at least 8 people, 4 vehicles, a stand, tables, gazebo, maybe the club marquee, BBQ and a host of other equipment. It takes a lot of planning, preparation and time to make an event happen. If you want to join in, come along, we provide the framework either as a standalone event or as a club presence at a VW show for fun times. That bit about us not biting? It might not be true. Woof. This entry was posted in Camping, Public, Shows on 30/11/2018 by Nick Gillott. Website Manager and General Committee member of the Owners Club. Owner of Eric the Viking (converted panel van with Viking roof) undergoing complete restoration. Tinkerer to Poppy the camper van (1972 Crossover dormobile).